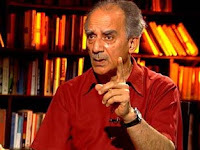 Mr. Arun Shourie an eminent Indian journalist, author, intellectual and politician was one of the prominent speakers at Vista 2010-11, the premiere business festival of IIM Bangalore. He has been an economist with the World Bank, a consultant to the Planning Commission, India, editor of the Indian Express and Times of India and a minister in the government of India. Here is a personal excerpt from the speech he delivered on "Preparing for India's Future: Challenges & Opportunities"
The session started of with the Director of IIMB, Prof. Pankaj Chandra reassuring that India is diverse not only in terms of culture or religion, but more in terms of the skills she posses. Indeed, we are doing well economically and socially. Shourie started his talk by emphasizing that India is in a good position and continuously improving its hold on the world economy. The sad part is that we ourselves are underestimating the capabilities of India. Comparing India with China, he mentioned that the major differences are in the Gross Domestic Savings(China ~40% and India ~25% of GDP) and Gross Domestic Investment(China ~40% and India ~38%); India improving in the latter front. This is a good sign. We are moving from a services base to a manufacturing base. We are reinventing manufacturing with the help from the bright Indian Entrepreneurs(Eg: Bharat Forge, Tatas) and Shourie expects soon India will be the center of manufacturing factories overtaking China. Within services sector also, we are improving in all the fronts. India is now becoming the hub for product design, tele medicine, legal services and you name it, we are! and the important thing is the reforms needs to be designed and coming from the former ones. It has to come from the majority of the population - middle class and educated ones. Later, he discussed about how to achieve inclusive growth. He mocked that now this word has become a cliche with some examples. According to him, not all opportunities may be attractive to all; it differs from people to people, place to place. He quoted from a Morgan Stanley report that growth in wealth of a nation incurs from (a) Equity (b) Property ownership and (c) Gold price. In India, only 7% holds equity and only 47% live in pakka houses. Mr Shourie noted that initial endowment matters, but what matters more is a good governance. 1) Instead of schemes, go for direct cash transactions. He mentioned that UID is a very good initiative. 2) Individual must be the unit of state policy and must be done by objective secular culture; must be identified through parameters like income level or education level of parents. 3) Target those inequalities which are impeding access to opportunities like malnutrition and education. 4) Don't kill growth solve inequality. Lift the base. ps: This is a personal excerpt based on individual understanding of the speech delivered. The opinions mentioned in the post may or may not be the ones the speaker intended to. Nice summary and very inspiring indeed. Thanks!